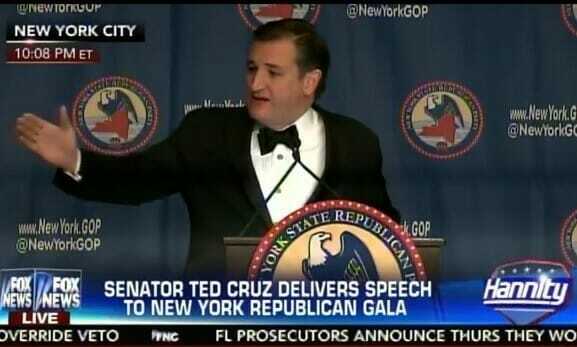 Ted Cruz spoke at the New York Republican Dinner on Thursday night. The audience spoke over him. You can barely hear Ted over the din in the room. The longer Ted spoke the louder the room got. By the time he wrapped up his ridiculously long speech the crowd was talking, clinking glasses and paying no attention to the Texas Senator. UPDATE: Here’s more video of the New York crowd ignoring and talking over Ted Cruz.